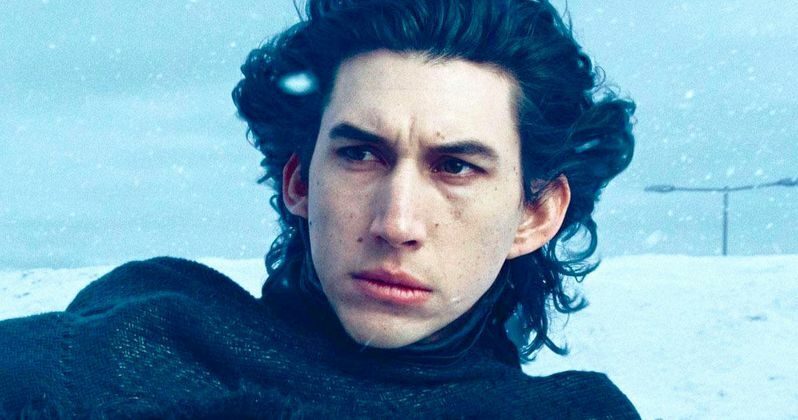 Kylo Ren wasn't born during the events of Solo: A Star Wars Story, but a new Star Wars book will tie the movie together with the end of Return of the Jedi, which means a very young Ben Solo will appear. We'll get to read about a young Ben, before he gets angry at Uncle Luke and before he kills his father, which could make for some interesting reading. However, the story is being billed as a Han and Lando book, meaning that we'll hopefully get some insight into their long friendship. Out of all of the Solo: A Star Wars Story books that were announced today, the novel Last Shot by Daniel Jose Older seems like the most interesting. As previously noted, it's a book about Lando and Han Solo, which will talk about their history before Solo and then after the events of Return of the Jedi. Overall, it seems like it will be full of information about the complicated relationship that Lando and Han have, filling in the blanks from the Solo movie. Lucasfilm Publishing creative director Michael Siglain had this to say about the new book. "Part of it takes place post-Return of the Jedi, and that's where we see Han, Leia, a very young Ben Solo, and Lando come into the story." According to Lucasfilm Publishing creative director Michael Siglain, we'll even meet Lando's droid companion L3-37 and Han Solo's rumored ex-wife Sana Starros in The Last Shot as well. The book covers 3 different time lines in the lives of Lando and Han and it's not clear if the book will read in a linear fashion or not. It seems logical that the book may jump around a bit, going from young Han to the events after Return of the Jedi. Additionally, there are more than 20 other books and comics coming out to supplement Solo: A Star Wars Story. Most Wanted by young adult author Rae Carson goes into an even younger Han Solo as a teenager with his friend Qi'ra, which proves that they really have known each other for quite a long time. The book details their lives on Corellia and how they managed to survive on the less than optimal planet. Michael Siglain had this to say about the book. "We'll see what it was like for these two kids from Corellia to survive the seedy streets of this industrial world. They're definitely products of their environment, and this story shows that." It wouldn't be a proper new Star Wars movie without a Visual Dictionary, so Solo: A Star Wars Story will be getting one of those as well. The Visual Dictionary was written by Lucasfilm story group member Pablo Hidalgo and it's a deep dive into all of the little-known facts about the Solo movie. The wait for Solo is almost over and it appears that we all have a lot of reading to do before May 25th rolls around. You can read more about the giant list of Solo: A Star Wars Story books and comics via Entertainment Weekly.